Scottish Natural Heritage (SNH) will prevent the use of general licences to trap or shoot wild birds on land where there is evidence of wildlife crime against birds. Decisions will be made on the basis of strong evidence provided by Police Scotland, and will be based on a civil standard of proof, rather than the criminal standard of proof. 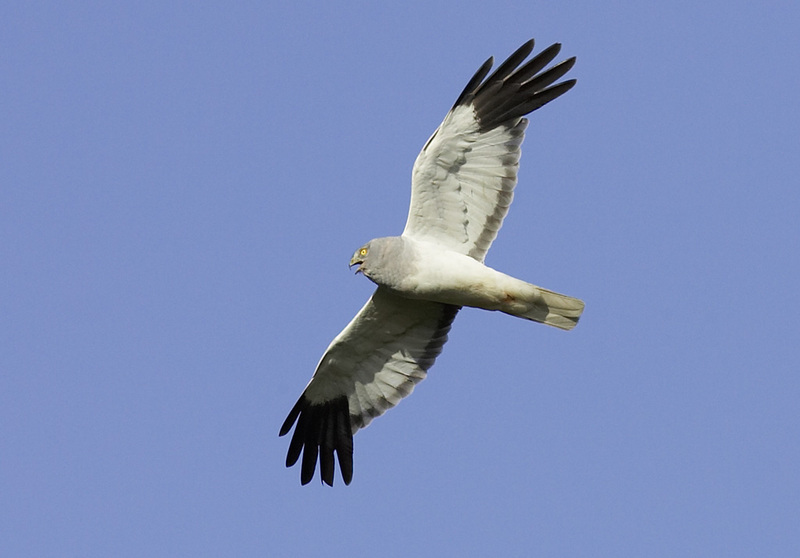 It comes after Scotland’s Minister for the Environment and Climate Change, Paul Wheelhouse, asked SNH to consider how general licences could be restricted, as part of a number of measures aimed at reducing raptor persecution. General licences allow landowners or land managers to carry out actions which would otherwise be illegal, including controlling certain types of birds for conservation purposes or to protect crops or livestock. These new measures mean that where SNH has evidence that indicates that wildlife crime has been committed on an area of land then the use of these licences can be restricted on that area of land. The measures – which have been developed in consultation with Police Scotland and others – will be backdated so that action will be taken where there is evidence of wrong-doing since January 1, 2014. The new measure complements other recent actions to reduce wildlife crime, including vicarious liability for offences against wild birds, which was introduced in 2011, and the review of penalties for wildlife crime offences that is currently underway. Restrictions will prevent people from using the general licences on the land in question for three years. This period will increase if more evidence of offences comes to light. “The illegal persecution of raptors is totally unacceptable and barbaric given typically it is associated with great suffering on the part of the birds when they are illegally killed. It is also, quite rightly, roundly condemned by all responsible land managers and those in the conservation community. I am both angry and very frustrated that a criminal minority continues to kill and persecute these magnificent birds for their own selfish ends. “We’re committed to taking action whenever there is evidence of wildlife crime, and we believe this new measure will make it much tougher for those committing offences. Because of the remote locations where most wildlife crime takes place, it’s often difficult to prove. So we need every tool we can to fight against those who persecute raptors in Scotland. “Nature-based tourism is worth £1.4 billion a year to Scotland’s economy. Raptor persecution detracts from that value and diminishes Scotland’s appeal as a major wildlife tourism destination. It can also damage the local economy as many locals and visitors are keen to see these magnificent birds in the wider countryside. And of course it causes an appalling level of natural heritage and wildlife damage. In response to the announcement, Duncan Orr-Ewing, Head of Species and Land Management at RSPB Scotland, said: “Wildlife crime remains a serious problem in parts of Scotland impacting the populations of iconic species including golden eagle and hen harrier. This activity has serious implications for the reputation of Scotland as a place that values its wildlife. We welcome the package of measures that are being introduced by the Scottish Government to tackle this problem, including powers to SNH to remove the use of the Open General Licence from estates where there is evidence of wildlife crime occurring. Other proposed improvements to enforcement of wildlife protection laws, such as increasing the powers of the Scottish SPCA to investigate wildlife crime should also be implemented quickly. “To be effective in acting as a deterrent to wildlife crime this power to remove the OGL will need to be used by SNH when required. They will also need to be bold in defending their action against likely legal challenges. We believe that SNH will have the widespread support of the Scottish public in using these powers and equally no law abiding landowner should have anything to fear. SNH will also need the consistent support of the police and other Scottish Government agencies that may be called upon to help provide supporting evidence. Just click the heart icon on the top left of this blog post to leave your comments.